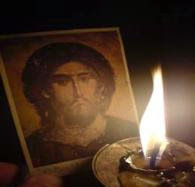 Mystagogy began in 2009 as a small personal weblog run by John Sanidopoulos, and today it is internationally known and acclaimed due to its relevant presentation of relevant and timeless material having to do with life and thought from an Orthodox Christian perspective. In seeking to expand the ministry of Mystagogy online and beyond, besides being primarily supported by donations, it was recently decided to also allow advertising on www.johnsanidopoulos.com to help in this endeavor, and in turn provide other Orthodox Christian ministries the opportunity to become better known through our common target audience. Whether you are an Orthodox Christian ministry, business, parish, group or have an event you want to market, all are welcome to submit a request for space! Mystagogy is a growing ministry with daily updates and a respected reputation. We have an average of over 130,000 visitors monthly, with thousands of followers both in social media and a mailing list. Most of our visitors go on to view other pages on our site. The topics posted on a daily basis are widely distributed and discussed, and our readers are enthusiastic supporters. The vast majority of our readers are in the United States, Canada, Western Europe, Australia, Greece and Eastern Europe, but we have daily visits from even the most remote parts of the earth. The ad unit sizes are requested to be approximately 430px X 80px (PNG, GIF or JPG) or smaller, and we ask that you provide your own banners. The standard placement for all our ads will be beneath the posts where our current sponsors are located, and the order will be rotated on a regular basis so that all ads will have equal opportunities to receive the maximum clicks. To boost the visibility of ads we also offer an opportunity to be placed at the top of the webpage and even after each individual new post on a rotating basis with other ads possibly interested in this option. An option will also be available to advertise on the other web pages of John Sanidopoulos, such as Honey and Hemlock, Bio-Orthodoxy, Daimonologia and Eschatologia. Also, each ad will be on a weekly or a monthly subscription basis, without any contract or obligation. Depending on what you are offering through your ad, you will find that in most cases the ads will pay for themselves and then some.